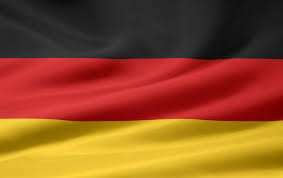 Germany’s plans to license some, but not all, prospective online gambling operators wishing to serve the country’s citizens has hit a legal snag, with the possibility that the licensing regime enacted last year may have to be tossed out in its entirety. Last week, the 5th Chamber of the Administrative Court of Wiesbaden (Verwaltungsgerichts Wiesbaden), in the German state of Hesse, halted the ongoing plans to issue no more than 20 operator’s licenses in the face of appeals from several applicants who had been turned down at various stages in the application process. Under Germany’s Gambling Treaty, which was first passed in 2012 and is an attempt to create a licensing regime that covers and unifies the country and its 16 federal states, applicants had to pass through a multi-stage winnowing to receive a German online license. Initially there were 73 applicant companies; that number was trimmed first to 35, and then again to 20. However, there seemed little logical reasoning for the “some but not all” licensing plans Germany put into place, given that all of the original applicants were presumed to be in good standing and licensed in various European Union countries. In its decision, the Hessian state court stated that the multi-level applications process wasn’t necessarily objectionable on its own, but that the process lacked sufficient transparency. Numerous operators who filed the appeals complained formally that the process left them unaware of why a given applicant might be deemed unsatisfactory or inferior to other applicants. Since there was little transparency, the court ruled, roughly translated, that the opaque Step 2 winnowing was “contrary to the requirements for a lawful restriction on the freedom to provide services” per overriding European Union treaty directives. The court’s ruling also noted that their were over 600 filings from potential licensee companies in response to the proposed Stage 2 trimming of the applicant list, which in the court’s view “show that the requirements were not clear and transparent from the outset.” As a result, the ongoing licensing process has been halted. The complete lists of all would-be German licensees affected by the ruling have not been published, but most of Europe’s major online firms are involved — on one side or the other — given Germany’s large population. The German online gambling market may rank second overall among all EU member countries, after the UK, meaning the state-authorized licenses are a prized commodity. Various sources updating the situation, along with some companies’ acknowledgments of how they’ve fared to date in the process, offer an indication of the companies that the non-transparent licensing regime had deemed most desirable… based on whatever “scoring system” Germany’s licensing body used. Companies based in Germany had a leg up on the competition: Mybet, Sportwettern and Digibet were all reported to have been in the final 20. Other giants of the European scene such as bwin.party and Ladbrokes were also reported to have been approved. If there’s one thing the second-tier companies have in common, it’s that they appear to be a notch smaller in total market size by comparison. Several non-German firms, including BetVictor and Bet365 reported being rejected at various points in the process. It is unknown if those two firms are among the companies that had filed formal complaints. Companies who are negatively affected by the Hessian court decision now will have a timeframe in which to file their own appeals. An appellate court in Kassel is expected to hear those filings.